Vegan Meatballs - full of spicy Italian flavor and SO meaty! Are you ready for the vegan meatballs to end all vegan meatball recipes? One that doesn’t fall apart when you cook it in sauce or turn to mush in your mouth the minute it’s chewed? One that is SO chock-full of flavor that your favorite way to eat them will be straight off the baking sheet? Well, it just so happens we’ll be sharing that recipe with you here today. Welcome, friends, to our own personal version of vegan meatball heaven. If there’s one food T and I both ADORE, it’s meatballs. In the pre-vegan days, T’s favorite Wawa hoagie was always a meatball sub, and I legit used to eat bowls of meatballs with sauce and parmesan for dinner as a teenager. We also have fond family memories surrounding a big bowl of meatballs and spaghetti, and I mean, who doesn’t?! That’s why, for the last three years or so, we’ve been working on perfecting our own vegan meatball recipe! 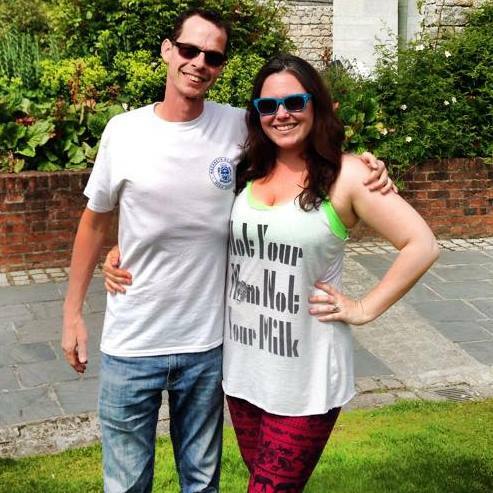 In those three years, we faced every major meatball hurdle I can think of. 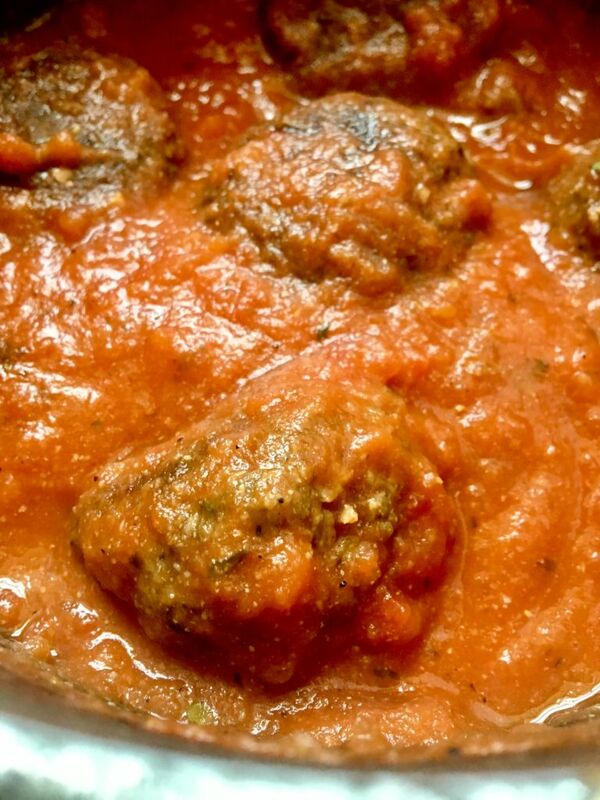 From meatballs falling apart before they even make it into the oven to flavorless balls of mush, we’ve seen (and eaten) it all. 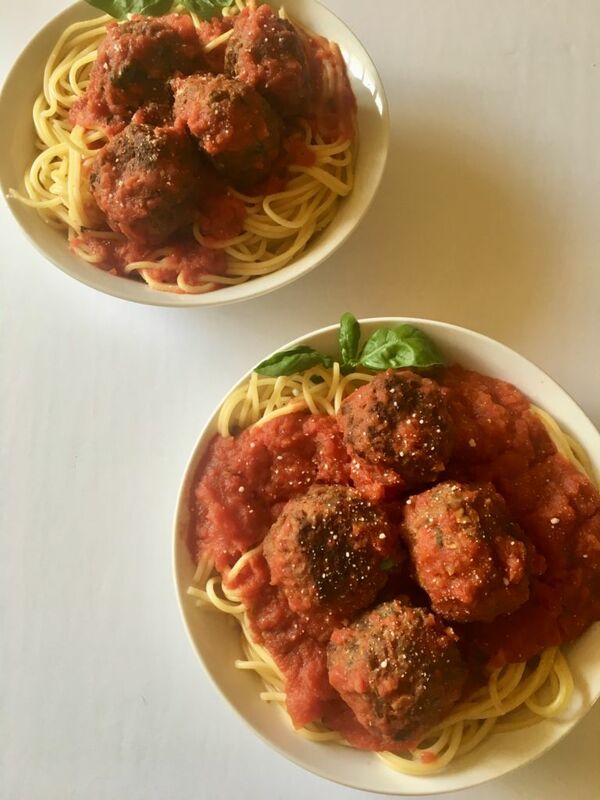 These spicy vegan meatballs we’re sharing with you today are by far our favorite version of the recipe. The base starts with some TVP, or Textured Vegetable Protein, which sounds super technological and weird, but it’s kinda like dried out bits of tofu. This gives our vegan meatballs that ground meat, crumbly texture. Sidenote: If you’re looking for more TVP recipe ideas, check out our homemade vegan burgers or chili! 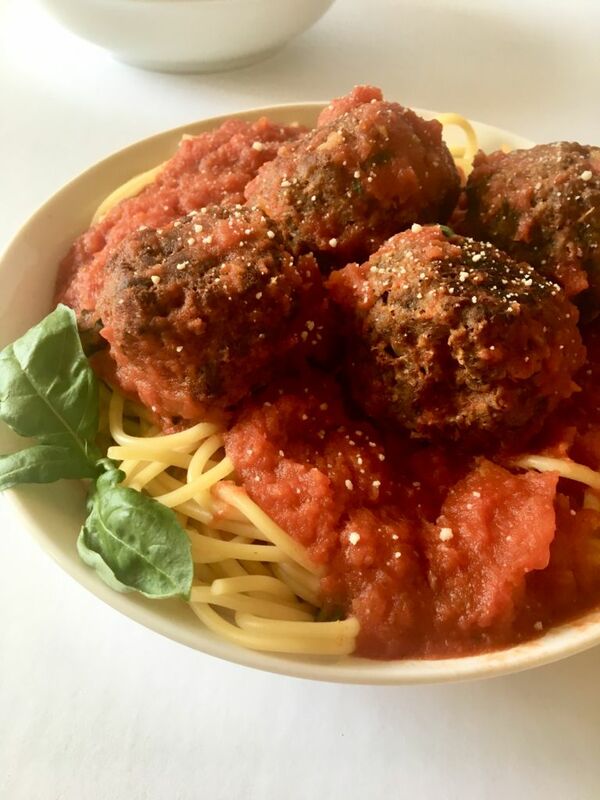 We also added a bit of vital wheat gluten to to help bind them together and produce that subtle, stringy, meat-like consistency that REALLY takes these vegan meatballs to the next level. If both of these products sound foreign to you, fret not. We find them at many mainstream grocery stores, usually Bob’s Red Mill brand, for a very good price. You can also order them on Amazon because Prime is everything and ordering things in my pajamas will always trump leaving the house. Always. Once you have your ingredients, the rest is fairly easy and, we think, pretty fun! You’ll chop up your onions and garlic, saute them in a generous amount of olive oil, and stir in your spices. We went with a traditional Italian flavor but kicked it up a notch with a hefty amount of both black and red pepper because that’s how we loooove them. You can totally lower the heat by adding less of those ingredients though because I know that’s not everyone’s thing. But if it is, you’re gonna LOVE this recipe as-is. Next, you’ll stir in some dry TVP, water, and a few other ingredients for added flavor. Cover the lid and let that deliciousness simmer. This method is what traps and intensifies all those yummy flavors! And finally, once all the liquid is absorbed, you’ll stir in a flax egg and your wheat gluten, knead it a few times (just to activate the gluten) and make / bake the vegan meatballs to PERFECTION! 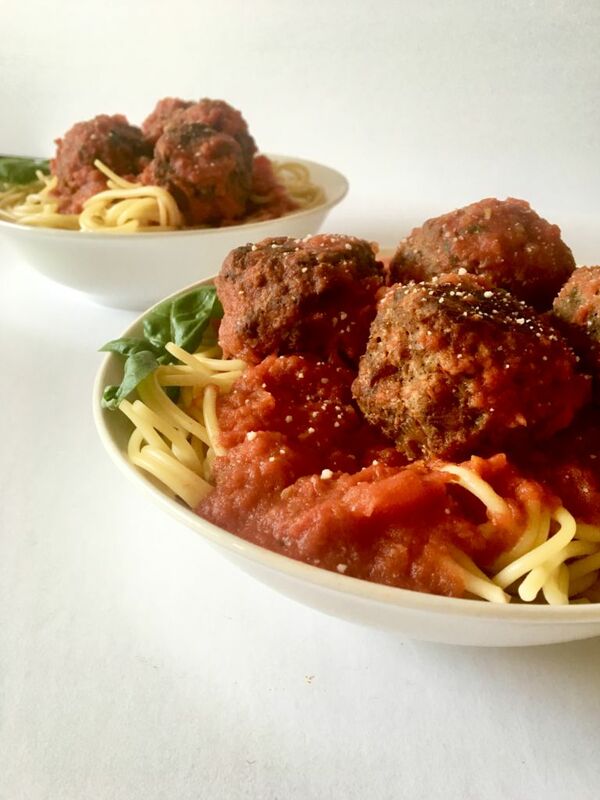 Watch us make these vegan meatballs in under 60 seconds! We have been loving every single batch of these vegan meatballs and we really hope you do too. If and when you give this recipe a try, we would so love to hear about it. 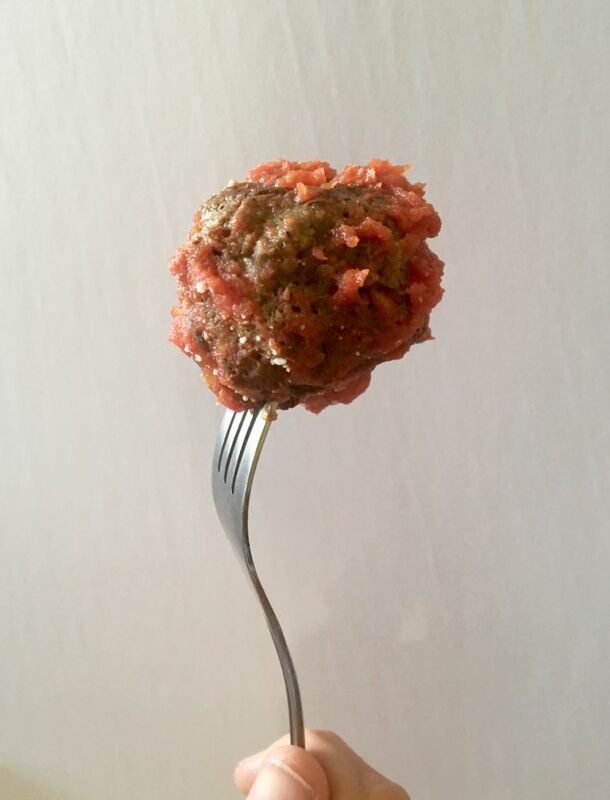 Leave a comment and rate it below or tag us in your meatball mania photos on Instagram (we’re @theplantpowercouple, with the ‘the’). Are you ready for a vegan meatball recipe to end all vegan meatball recipes? One that doesn't fall apart when you cook it in sauce or turn to mush in your mouth the minute it's chewed? One that is SO chock-full of flavor that your favorite way to eat them will be straight off the baking sheet? Welcome, friends, to our own personal version of vegan meatball heaven. In a small bowl, mix together your ground flaxseed and water to make your flax egg. Set it aside to thicken. Add your olive oil to your wok (or use a large, deep saute pan) and heat on medium high heat. Add the minced onions and garlic and stir. Sprinkle in the chili powder, sea salt, black pepper, cumin, and ground fennel. Stir until everything is well coated and allow to cook on medium high for about 5 minutes. Next, add your TVP, water, Italian seasoning, red pepper, and soy sauce. Stir once more, cover, and cook for about 10 minutes, or until all the liquid is absorbed and the TVP is tender and meaty. Remove from heat and let it cool a bit before you start forming your meatballs. In the mean time, preheat your oven to 350F and liberally grease a large baking pan with refined coconut oil. Once the TVP mixture is cooled enough to touch, stir in the flax egg, nutritional yeast, and wheat gluten until well-combined. Then, get in there with your hands and knead it for a minute or two, just to activate the gluten. Now, it's time to form your meatballs! Take a scant 1/4 cup of the mixture into clean dry hands and form into a ball. 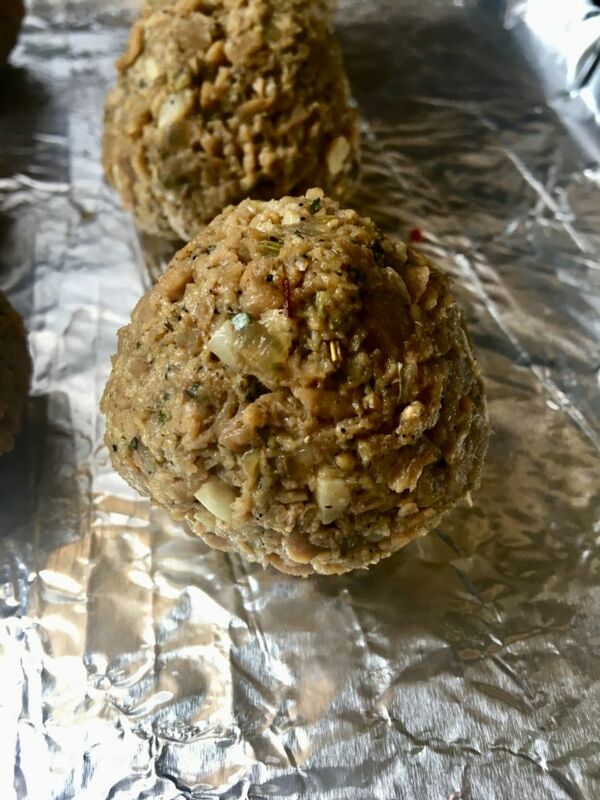 Before placing each meatball onto the greased baking sheet, squeeze it together a bit with your hands to make sure it's nice and compact. Bake your meatballs at 350F for 20 minutes. Then, flip them and bake another 20 minutes. 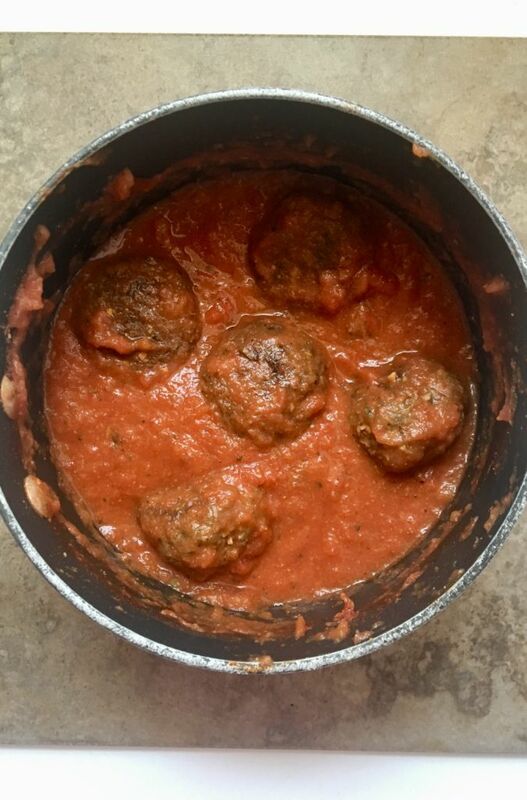 Allow the meatballs to cool for at least 10 minutes. They'll firm up as they cool. From there, we like to heat them up in our favorite marinara sauce and serve them over a mountain of spaghetti, but you can eat them however you'd like. We hope you enjoy them as much as we do! * To make this recipe gluten-free, replace the soy sauce with tamari and the vital wheat gluten with all-purpose gluten-free flour. The texture will be a little different (less "meaty"), but they're still delicious! Made these tonight because my 3yr old keeps asking for spaghetti and meatballs. 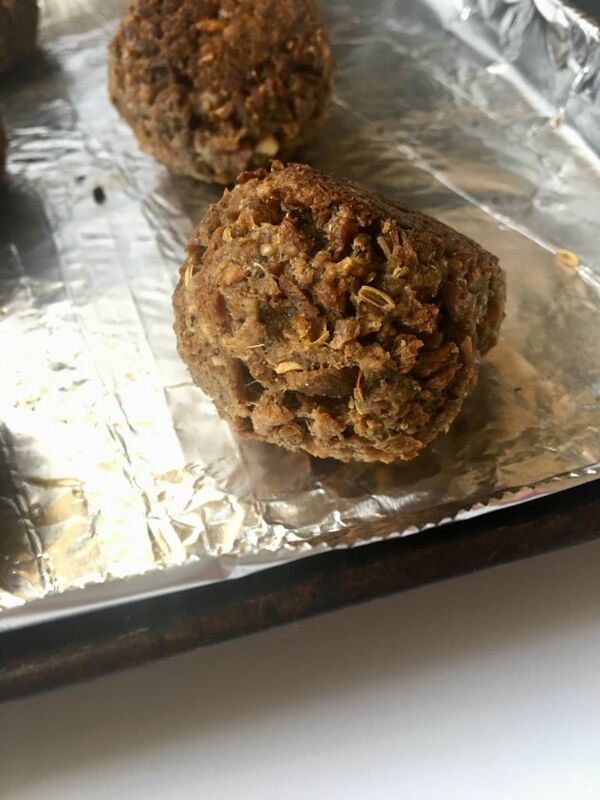 Every vegan meatball I’ve tried has not passed the test...until now. She devoured these! And very easy to make also! Thank you for the recipe!! What can I use instead of a flax egg? Deadly (anaphylactic) allergic to flax. Hi, Shirley! Would chia seeds work for you? Use them just like you would the flax. This was my third attempt at meatballs with three different recipes. I was still not successful with making a meatball but I got an incredibly delicious meat for spaghetti with marinara. I probably need pictures of what the TVP should look like since I have never worked with it. But again the flavor of this recipe is incredible. Hi, Susie! I love how you adapted the recipe for a meaty marinara. We actually do this a lot, and it's sooo good! :) You may want to watch the video above to see what the TVP looks like at different stages of the cooking process. We use Bob's Red Mill brand, and it looks like a ground meat texture. They do sell TVP in larger chunks though, so beware of that. Hope this helps! hey i would love to make it :) anything i can use instead of the wheat gluten? i cant find them near by! !